Schizophrenia is a disease of the brain, the cause of which is not known. This condition creates serious mental issues, and the treatment is aimed at reducing the symptoms and managing the disease. He or she suffers from hallucinations and delusions, becomes detached from reality, and his thought process becomes disorderly. Schizophrenia treatments involve many medications, but psychosocial interventions, too, are needed when schizophrenia starts to exhibit itself. The course of treatment undoubtedly depends on the subject’s specific case. Schizophrenia is not a permanently curable mental disorder. When we talk about a schizophrenia treatment, this usually refers to managing the symptoms and improving the person’s condition because there isn’t a cure for schizophrenia yet. 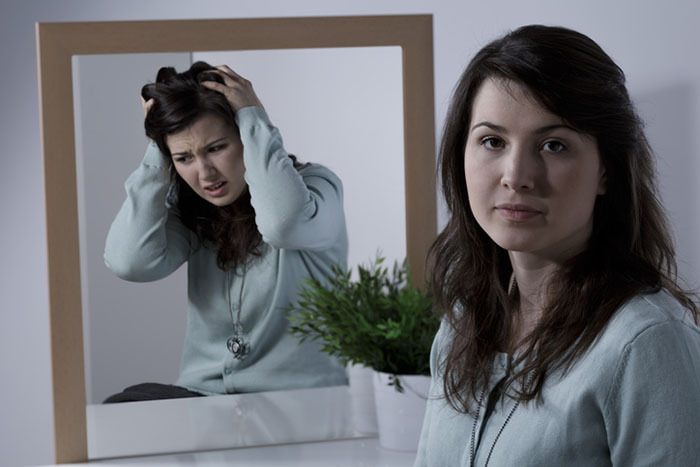 How Do They Detect and Treat Schizophrenia? Laboratory tests are not available to diagnose schizophrenia, yet there are brain abnormalities associated with schizophrenia that can be detected by doing brain imaging studies akin to MRIs or CT scans.There are many supportive treatments for schizophrenia. An antipsychotic is a schizophrenia treatment that decreases the intensity of the illness’ symptoms, for instance.The term second generation antipsychotic is used to refer to the newest forms of medications for schizophrenia, like quetiapine, olanzapine, risperidone, and ziprasidone. Of course, most of these schizophrenia treatments come with side effects like dizziness, sleepiness, and an increased appetite. Weight gain, too, is a problematic side effect which could result in high blood sugar levels, increased lipid levels, and even increased levels of a hormone called prolactin. Given that there are many potential side effects like muscle stiffness, shakiness, and very rarely uncoordinated muscle twitches that can be lasting, doctors closely monitor their patients after starting treatment. The above-mentioned side effects may mostly take place with the use of the older types of antipsychotic medications such as haloperidol, perphenazine, and molindone. Finally, some schizophrenia treatment medications that are prescribed to adults are not suitable for childhood schizophrenia. Aside from typical schizophrenia medications, mood stabilizers like lithium, Divalproex, carbamazepine, and lamotrigine are also sometimes prescribed as auxiliary medicinal support. Although they are rare, the danger with these medications is dizziness, high blood pressure, drowsiness, and even seizures. Careful monitoring must be done with clozapine to prevent the development of a fatal bone marrow toxicity. Other treatment drugs include Chlorpromazine, Fluphenazine, Geodon, Moban, Paliperidone, Sarcosine, Thioridazine, Ziprasidone and Zyprexa (which is also used to treat bipolar disorder). This year, the FDA is meeting to discuss making a longer lasting, injectable form of Zyprexa available while having reservations about its severe side effect of drowsiness. Antipsychotic drugs have been used for quite some time and are the first in line as a treatment for schizophrenia. The early drugs, like clozapine, are as effective as the newer ones, but their side effects are more severe than the newer drugs like risperidone and olanzapine. Thankfully, there are a lot more medications in development right now. Most of these drugs are very effective in preventing hallucinations and delusions. When the symptoms start to disappear, it is important that the drug is tapered down slowly to prevent a relapse. In the later stages of the treatment of schizophrenia, antidepressants, antianxiety, and anti-convulsive medications may be necessary to treat other symptoms, like bipolar mania. Electroconvulsive Therapy (ECT) is a treatment provided by highly trained health professionals. It is done under general anesthesia and muscle relaxants. It does not cause pain or cause the body to convulse. The shock given in the brain causes a seizure in the brain. Though the exact mode of the cure is not known, it is believed to be helpful for patients. Proper psychiatric care, family support, and group therapy are some of the most effective treatment options. Researchers are still working very hard to find the root cause of schizophrenia, but the best answer they have so far is that it is caused by genes as the disease tends to run in families.